HomeBlogWill Electrolysis Work for Me? An important factor in electrolysis working is a strong commitment to the treatment, meaning that you must stick with it over time. The method does not create instant results, and in some cases, the process can take multiple weeks to see results. Many clients will come for treatments once a week or every other week until they see results or decide to stop because the treatment does not work for them. There are multiple reasons as to why the process does not work on occasion, and this includes an individual's hormones, the administration of the treatment, and finally the length of time seeking treatment. There are many people who benefit from the process and actually achieve total hair removal. 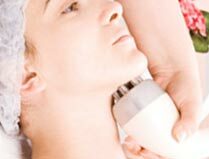 Reach out for an electrolysis center on Staten Island to find out more information regarding the treatment and if it's right for you. If not, you always have the option of waxing. *Not all patients of electrolysis see the same results, and some people notice no change at all.